FWIW, I had a quick look and couldn't find a DTED file in the zip file (or at least the classroom version wont recognise "iraqkuwait_nw_92160km_30mpx_dn.asc" as one). Also the site I downloaded it from gave me a bogus virus infection warning. I'm sorry to hear that. I always used mediafire and didnt know about that. 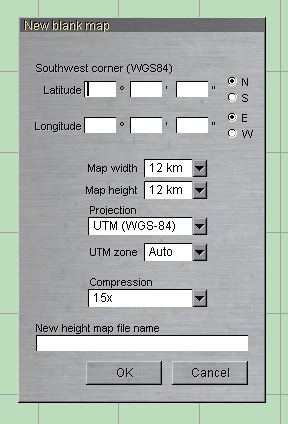 instead of .asc (Arc ASCII Grid) to what DTED level should I export the heightmap? Regarding hosting files, where should I upload it to? Dropbox? From memory DTED 0, DTED 1 or DTED 2. Access to DTED 1 and 2 tends to be more limited than DTED 0. Also for a given piece of ground, DTED 2 provides better resolution than DTED 0 (but with a corresponding increase in file size). There are a bunch of hosting services out there "Dropbox", "pCloud", ".mac", "OneDrive", .... which oyu choose is up to you I'm just giving you feedback that the one that you choose generated a false "warning" in my browser (which had some links to who knows what, which I didn't click on). I'd never exported to dted before. It split the heightmap into 4 files and changed the projection from UTM to Geo. Also, each file now weighs 25Mb! OK so you want 4 x SB maps (or I suspect you are asking me to merge them for you)??? Preferably I would like to have one map, not split. Well then "preferably" any chance of one data set? No one here is paid to do this so the easier you make it, the more likely its going to happen. Is it necessary to be DTED? In GM I have no option to export it as a single file. When I export it, it automatically split the map into 4 files. What do you suggest? In fact, as it turns out, its a restriction of the format itself. 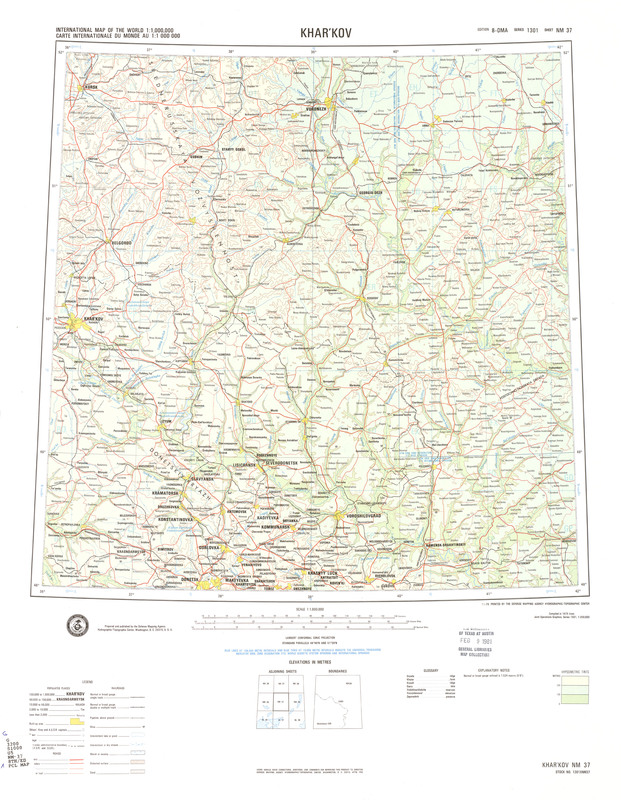 It splits the map into 1 degree tile boundaries, so one can't combine them into a single file . For Steel Beasts to import it, yes. I don't have experience with GM (whatever that is) so I'm unsure if there is an option to "increase file size" or similar. You should be prepared for large file sizes. Also remember that DTED just gives you the "lay of the land". buildings, roads, etc. will not be in the DTED information. Ideally you have a good map of the ground, or Google Earth type imagery, to help you add that sort of information in due course. I guess being a desert it wont be as bad as say Western Europe. The other thing we will need is the South West corner (Lat/Long). Anyway its 2330 here so I'll check again in the morning. I assume that by default, SB PRO itself will combine all the DTEDs files into a single hgt. Actually, it SHOULD be possible to import multiple DTEDs. The latest import will overwrite previous imports, but only where data other than Null actually exist, and in this case there shouldn't be overlap to begin with. Well give me the Lat / Long for the SW corner and I'll send you the result. Then you can take a look. The thing is, this desert region when scanned by radar based satellites, result in very noisy elevation maps due to variation is moisture content in the soil. This means that the heightmap needs to be processed with a Mesh Denoise before becoming usable. This is why I'm uploading my files, because they are ready to use. Sorry to be a pain but I'm used to lat / long being degrees, minutes and seconds - yours are decimals??? Sorry; btw, you're not a pain, you're freely trying to help me, which I appreciate. Now comes the hard bit - you get to work out which bits are what sort of terrain (grass, sand, etc.). I have one question regarding vector map importing in SB PRO: I'd like to know more about how its done in terms of features classification. Is it possible for me for example, to name each feature, or add some kind of attribute while still in GIS in order to have SB to automatically select the proper Object, ground colour, line feature...? For example, I could add a cluster of buildings in GIS, each building with a different number which relates to the number of the building in SB's database. Is it possible to work this way? I'm not terribly familiar with these aspects since I'm not really involved in the data import processes. There's basically two ways how SHP files can be imported - as a distinct file for each object in the library, or as summary file (e.g. containing all the roads, or all the buildings) in which case the import process needs a DBF file to automatically assign which data type should be represented by which entry in the Steel Beasts object library. From what you describe a DBF file seems to be the way to go. But that only opens more questions. Steel Beasts allows to import terrain data using the ESRI Shape™ format. At its most basic, this format simply provides a number of shapes (polygons, lines, points – however a given file may only contain a single shape type) without any further information, which means that it is up to the user to tell Steel Beasts what (for example) a line represents – it may be a single-lane paved road, or a stream, or a row of trees etc. Optionally, additional files may be provided supplying metadata (for example specifying that a certain shape line represents a highway), allowing to further automatize the import process. When importing a Shape File, Steel Beasts will prompt the user to specify a file with the .shp extension (which provides the basic data). If a file was given, the application will automatically look for dBASE (*.dbf) files – using the same name as the Shape file - with ancillary related data (metadata) located in the same folder. There is no standard for what the coordinates in the Shape™ file represent, so the user must know and enter this information (meters, feet, radians, etc.) when importing a Shape™ file. The person who created the Shape™ file should know this information. In this mode – that is, if no dBASE files were found or supplied - the user must select a terrain feature from the right panel when importing Shape™ files. Depending on the data type in the Shape™ file (polygon, line, or point), certain terrain types will be enabled or disabled. For example, the user cannot select a road when importing polygon Shape™ types. Once a selection has been made, and the OK button has been pressed, the application will create the desired objects, terrain types etc. – one object for each entry in the Shape File. Note that it is possible – for example when importing POINT shapes – to specify multiple actors, out of which one will be created at random. To illustrate this, suppose you import a Shape file containing 10 entries, representing the location of buildings. Since you would not want to have 10 identical objects created, you select multiple objects by holding down the CTRL key while selecting each desired object individually, or by holding down SHIFT while clicking the last object in a range. If you then press the OK button, Steel Beasts will, for each object to be created, randomly select one out of this pool. The Shape File metadata can provide multiple properties – organized in columns – for each entry in the Shape File, each of which can be used to control certain aspects of the imported shape, depending on the shape type. The user is however also free to manually override settings with properties set in the Map Editor. Roads: The DBF file needs to hold the 'road-type'. The Shape File needs to hold POLYLINE-Shapes. Line objects: The DBF-File needs to hold the 'actor-type' the line object is composed of. The Shape File needs to hold POLYLINE-Shapes. Powerlines: The DBF-File needs to hold the ‘powerline-type' (which controls the pylon type and spacing). The Shape File needs to hold POLYLINE-Shapes. Objects: The DBF file needs to hold the 'actor type' of the object to be placed. The Shape File needs to be either a POINT or a POLYGON shape. When importing objects from Point/PointM/PointZ shapes, Steel Beasts can optionally read the object's azimuth from the DBF metadata file. Terrain: the DBF file needs to hold the terrain type. You can choose to read the ID of the 'detail object' from the DBF. Only a single detail object can be specified per shape (i.e. it is not possible to sprinkle random objects inside a polygon). In case that the file holds POLYLINE shapes, you can optionally read the line width from the Shapefile; in case it holds POLYGON shapes you can specify the density of the detail objects from the shapefile (this should be a floating-point values in the [0;1] range). Map Annotations: these can be imported via POLYLINE shape primitives. The annotation will be placed horizontally at the middle vertex of the polyline (if a polyline is made up of 5 vertices the annotation will be placed at the 3rd one). Steel Beasts will try to interpret the specified metadata first as a hexadecimal value (AARRGGBB format, i.e. 0xFF00FF00 would be fully opaque green), if this does not work, it will interpret them as a decimal value (ie 4278255360 would be fully opaque red) and finally (if everything else fails) as a text string. Currently supported colors are 'black', 'red', 'green', 'blue', 'white', 'yellow', 'orange' and 'gray'. You can also set styles for these map annotation as a comma-separated list in the 'text style' metadata column. Allowed values in this column are 'normal', 'bold' and 'italic' (and combinations thereof). For example, bold text might simply be specified by 'bold' (without quotes) while bold and italic text would be specified by a 'bold,italic' value. Note that it is not required to set all settings using the metadata file (for example, when importing an annotation, only the text could be imported from the metadata file while the text color and text size are set from the user interface). In case properties have to be set via the Map Editor’s user interface (using its right-hand side panel), blinking text will indicate this to the user. The data needs some preparation and separation but tends to be quite useful. What you do have to watch out for is that roads are separated into sections between junctions. This is not ideal as it can play havoc with SB's road following routine. I wrote my own importer which automatically joins this data together to make contiguous roads. This is helped by separating the data into road types before importing. This can be done quite easily in Global Mapper. Thank you Dark Angel! My attempt to recreate the Gulf War battlegrounds faced with the problem that in 1991 most sources that we have available today weren't back then. What I did was to get multispectral imagery (Landsdat 4 and 5), which covered all this period with plenty of data, and play with 'calculations', that is, mixing different sprectrums (R,G,B near-infrared and infrared), the same way as geographers do to autoclassify features like softwood, hardwood, burnt terrain, moisture content... in order to turn out those nearly invisible dirt trails that existed in the middle of desert, making them brighter or contrasting against the background better, and then manually drawing the vectors. Also, between editing terrain files in GIS or in-game, it's a million times better to do it in GIS, so as I understand, the way forward is organize all the vector in a way that Steel Beasts can automatically recognize exactly what we want it to be. This is very important, specially in my position with Pro PE, because I depend on someone else's free time to get my data and put it all together into SB, therefore, the more straight forward and easy it is for him, the better. I read the manual that Ssnake posted regarding importing vector data, but I still have a few doubts which I believe you can help make it clear. Roads: The DBF file needs to hold the 'road-type'. GIS automatically creates a series of DBF columns, for each section of the road; and as I understood, SB also reads the metadata of the vector file. So, I need to add a column in the DBF called road-type and insert the same description as it is in Steel Beasts: dirt-trail, Paved, two-ln, ...? And/or separate each road type into different vector files which have the road-type description set in the metadata. 2- For the terrain, in SB there is the description and a number, for example, in Realism_(Me) theme, Sand is number 12, so if I want to create a sand area, I add a column called terrain-type and insert the number 12 for sand? Is it possible to specify the pool of random objects in the DBF somehow? 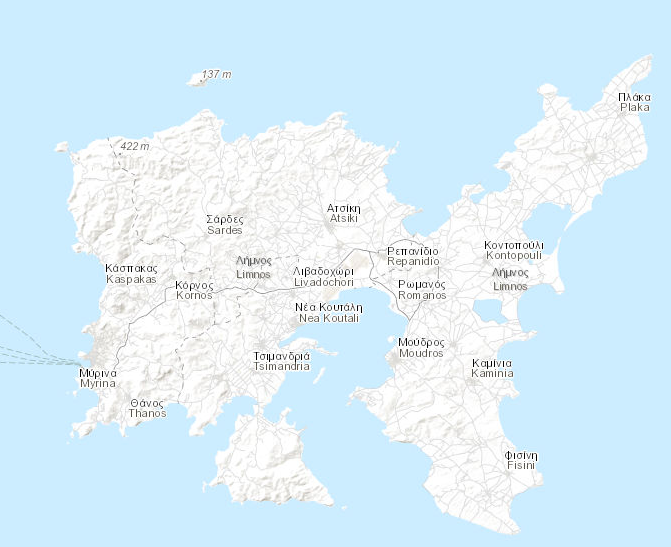 Would someone be so kind as to make me a Limnos Island map? I was supposed to submit my request here, my bad. 120 x 120 km is the maximum size of one map in SB. 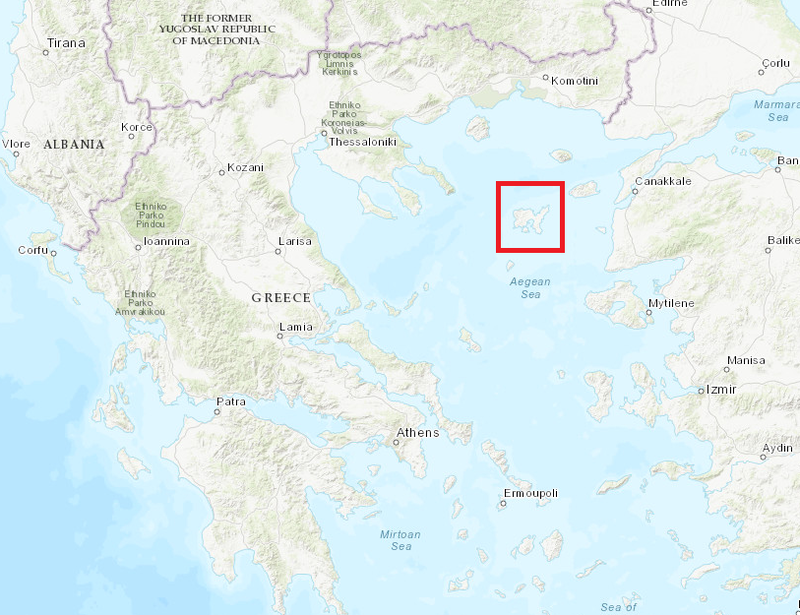 The area you describe is about 430 km from North to South and 400 km from West to East. Even a 120 x 120 km map require a lot of work to accomplish.